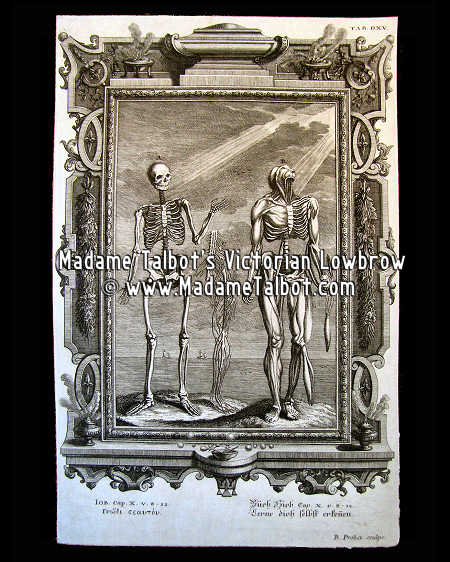 This is a magnificent anatomical copper plate engraving after Johann Jakob Scheuchzer, engraved by B. Probst, c. 1731. Excellently well preserved state, little or no stain, ink is still fresh and dark after all these years. Paper is thick and watermarked. Size is 32cm x 22cm.